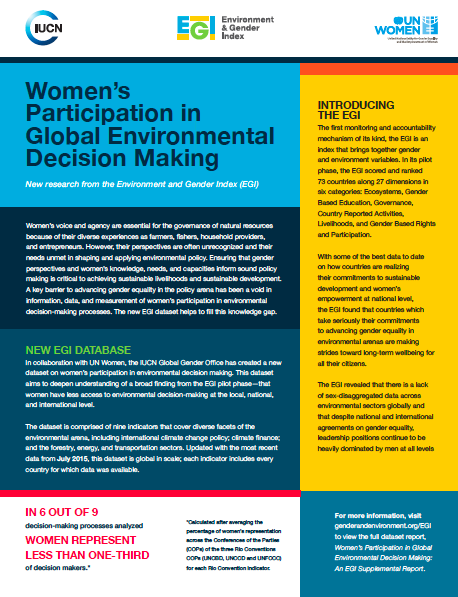 GGO is pleased to announce a new factsheet on women’s participation in global environmental decision making. 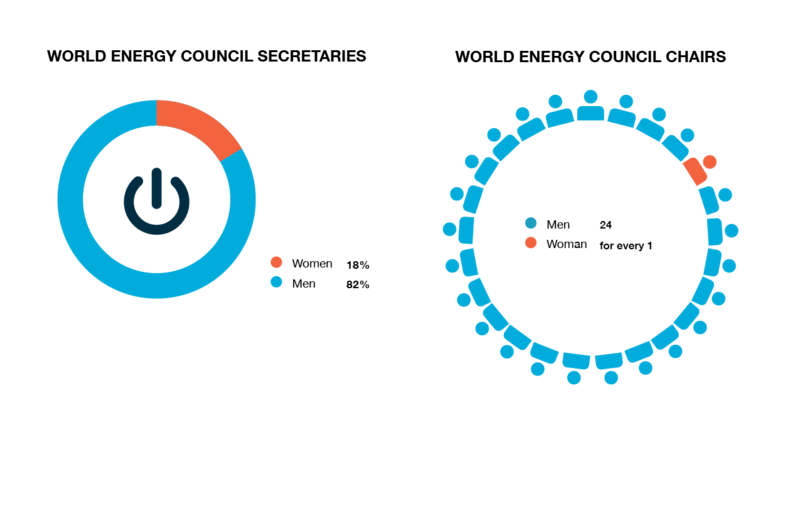 In collaboration with UN Women, GGO has created a new EGI dataset that aims to deepen understanding of a broad finding from the EGI pilot phase—that women have less access to environmental decision-making at the local, national, and international level. The dataset is comprised of nine indicators that cover diverse facets of the environmental arena, including international climate change policy; climate finance; and the forestry, energy, and transportation sectors. Updated with the most recent data from July 2015, this dataset is global in scale; each indicator includes every country for which data was available. In 6 out of 9 decision-making processes analyzed, women represent less than 1/3 of decision makers. Of 890 environmental sector ministries in 193 UN Member States, 12% of Ministers are women. Of the total world energy council chairs, there is one woman representative for every 24 men. For the most recent COPs, CBD has the highest women’s participation rate, with an average of 43% government delegates, bureau members, and NGO representatives. UNFCCC has an average of 36% and UNCCD has an average of 30%. Women represent less than 1/3 of the 304 GEF national focal points. To read the full factsheet, please go here.